In a radical departure from previous ethnographies of food, this book asks how and why food is pivotal to social relations and forms of identity that emerge as normal and not-normal. 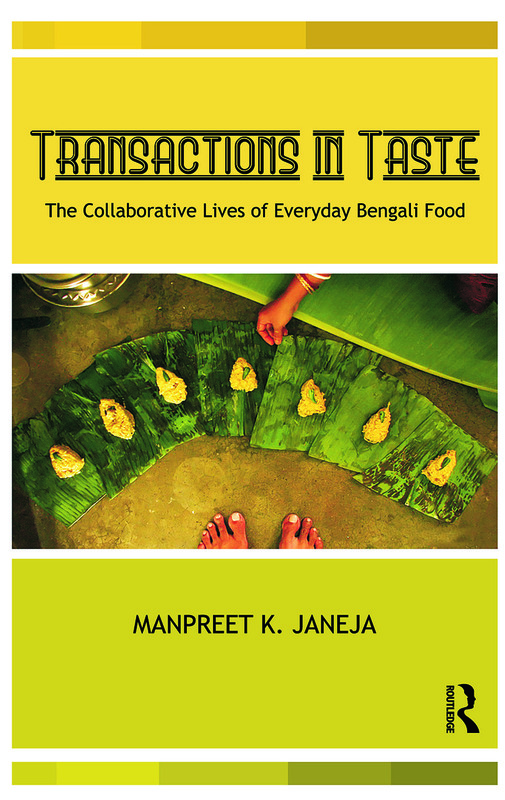 It does so by describing the production, consumption, distribution, and disposal of ‘normal Bengali food’ in middle-class households that employ cooks from poor classes, and in Bengali restaurants, in contemporary Calcutta (India) and Dhaka (Bangladesh). In a rare comparative foray into Bengali Hindu and Muslim food-ways on both sides of the border, the book includes addas (‘idle-talk’) and interviews with both men and women. It initiates a dialogue that links issues of agency, place, hospitality, and ownership with a new field that places food as an ‘artefact’ at the centre of its inquiry. It invites the reader throughout to approach food afresh, as the key that unlocks the complexities of what is mundane yet profound — the everyday. The book thus analyses the constant and fraught negotiations that feed into definitions of normality, class and identity in the deeply intimate yet intensely public domain of food. Food transactions here provide a window into shifting configurations of trust, power, and conflict integral to social relationships, shaped by events such as the 1943–44 Bengal famine, the 1947 partition of India, and the 1971 Bangladesh War. Manpreet K. Janeja is Eugénie Strong Research Fellow in Social Anthropology at Girton College, University of Cambridge.